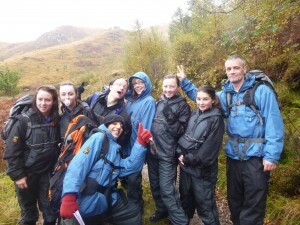 Stevenson Adventures SCIO is a Scottish Charity that takes disadvantaged young people into the Scottish mountains and wild places, like the Stevenson Way, in order to develop their character, self confidence, team work and social skills. 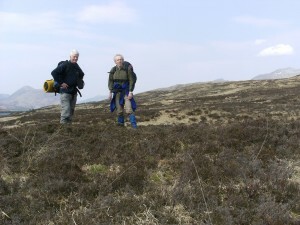 They provide qualified leaders and equipment to take young people on day, weekend and longer walks/expeditions in the Scottish hills and wilderness areas. Their ethos is similar to that of the John Muir and they also run the John Muir Award courses. The Stevenson Way is based on the book Kidnapped, by Robert Louis Stevenson. It describes the tale of a young lad David Balfour, who was kidnapped by his uncle and put on a boat bound for the Carolinas. On the way there he is shipwrecked on the island of Mull, on the far west coast of Scotland, and is involved in many adventures as he travels over 370km back to Edinburgh. Although Kidnapped is fiction, it is based on the real-life murder of The Red Fox (Colin Campbell) in 1752 and David’s travelling companion is also another real character: Allan Breck Stewart. The Stevenson Way goes through some of the most remote and spectacular scenery in Scotland like the majestic mountains of Glencoe or the vast remote wilderness of Rannoch Moor. Stevenson Adventures SCIO also promote the Stevenson Way and runs guided walks on the Stevenson Way.